The leader highly valued the outcomes of the two countries’ recent exchanges and cooperation, stressing that Vietnam and China are neighbours who are both led by communist parties. Their traditional friendship, built by late Presidents Ho Chi Minh and Mao Zedong and nurtured by generations of leaders, is a precious asset that both sides need to uphold and promote. 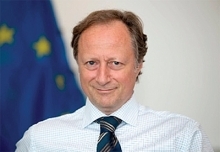 Amidst the current global and regional situation, the two parties and countries should increase experience sharing, foster substantive and effective cooperation in all aspects, and properly resolve outstanding problems on the basis of the common perceptions shared between their leaders and the international law, thus bringing practical benefits to the two peoples and contributing to peace, cooperation, and development in the region and the world, he noted. For his part, Xiong Bo expressed his honour to serve as Chinese Ambassador to Vietnam, voicing his delight at the sound development of relations between the two parties and countries in recent years. He pledged all-out efforts to actively contribute to bilateral connections. 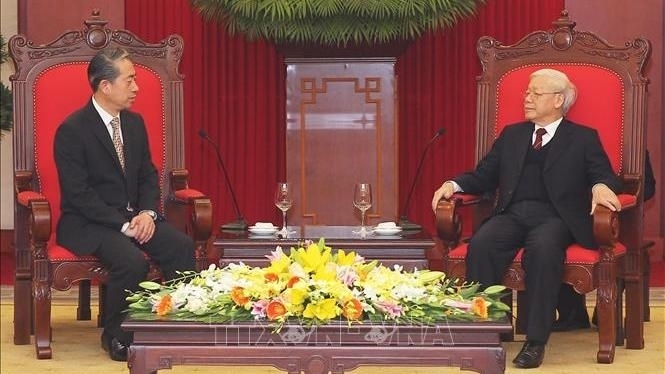 The Chinese Party and Government attach the utmost importance to friendship with Vietnam, the diplomat stressed, adding that they hope the two sides will press on with high-ranking exchanges; cooperation between their ministries, sectors, and localities; and substantive partnerships in all spheres, thereby helping to develop the China-Vietnam comprehensive strategic cooperative partnership in a stable and healthy manner.